A gold medal in France did not prepare Craig Ponsford for a shift in his career. After 25 years of baking, Craig met Joe Vanderliet of Certi fied Foods, Inc. and was introduced to their stone milled whole grain products. In 2009 , Craig, a white flour baker, began product development for Joe and discovered he was able to make lofty and laminated products with this whole grain milled flour. Since then, Craig has been exposed to the nutrition benefits of whole milled flour as well as experiencing firsthand the enhanced complexity and depth in flavor that are possible from baking products using whole milled flour. Now Craig is converted and almost always bakes with the whole milled flour so that his treats are not only super tasty but also provide all the additional nutrition attributes of the whole grain. 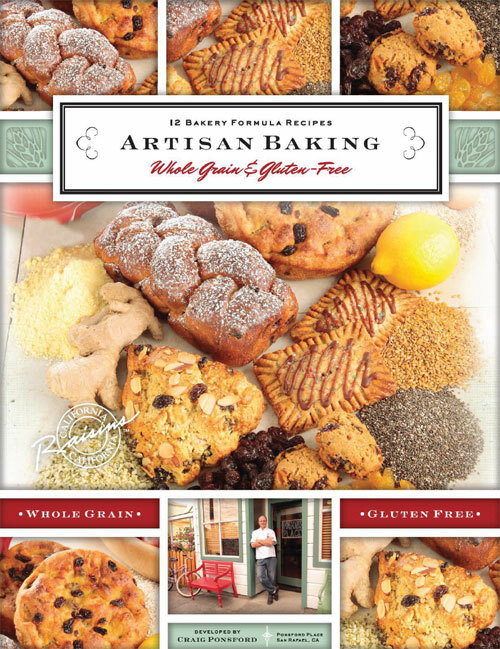 All the formulas developed in this book are made using only whole milled flour and plump, nutritious, all natural, California Raisins. Click here for the latest key bakery publication with Craig’s thoughts on the aesthetic value, nutrition and commercial benefits of using California Raisins. 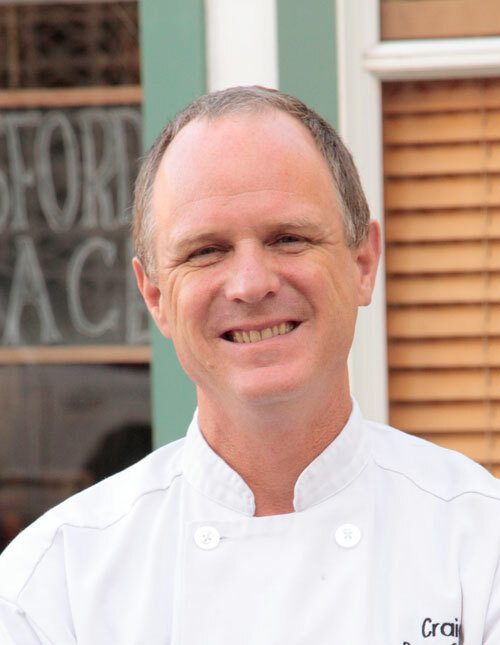 If you are visiting San Rafael, California, stop by Ponsford’s Place and sample some of his great products.